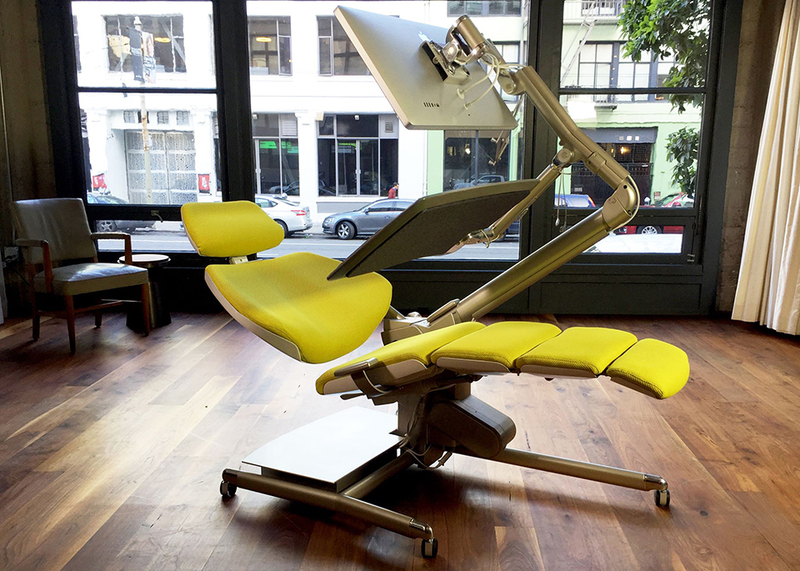 A desk and chair combo that lets you sit, stand and lie down. Its monitor arm works with VESA mounts and supports up to 35lb. display setups. 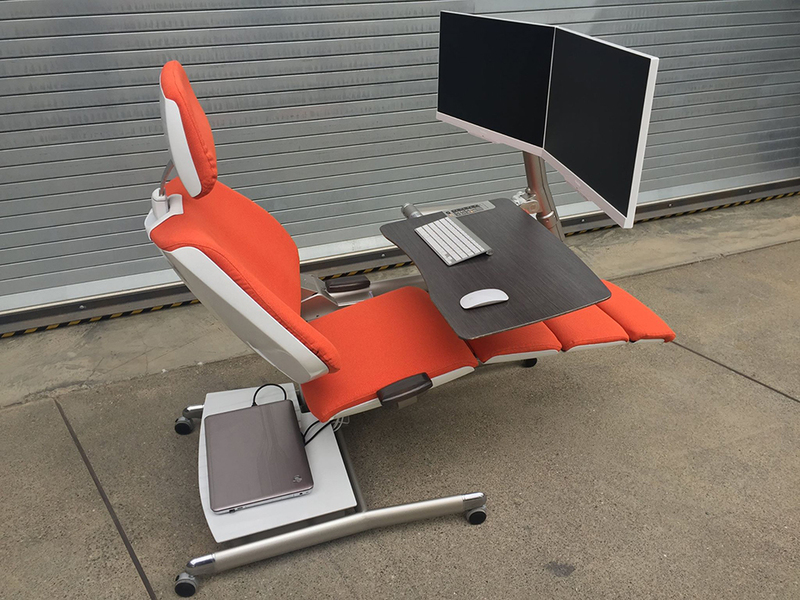 It comes with magnets for the keyboard and mousepad so that they’ll stick to the magnetic desk. Skip to 1:57.